Tickets with PM Modi's photo were issued at Barabanki railway station. This is in violation of model code of conduct. 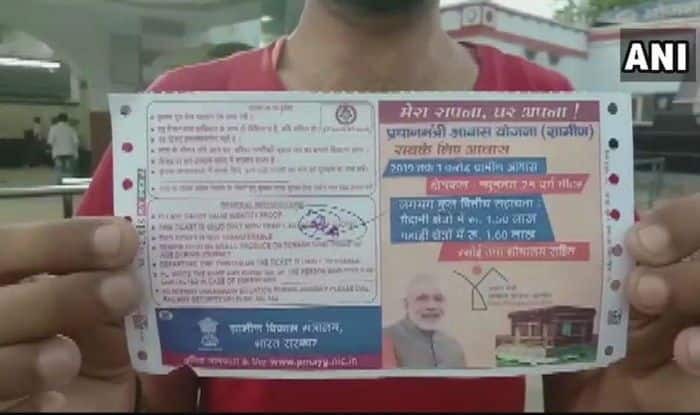 Lucknow: Railways has suspended four employees after tickets with the photo of PM Modi printed on them were issued to passengers at Barabanki railway station on Monday. This amounts to a violation of the Model Code of Conduct (MCC) that is in force for the Lok Sabha elections. The ADM said, “On April 13, when the shift changes, the old roll was mistakenly used. Four employees have been suspended and a departmental probe is underway.” Besides two reservation clerks, one Chief Reservation Supervisor and a Commercial Inspector have also been suspended. Railways has already been pulled up by the Election Commission (EC) for its “lackadaisical” approach in enforcing the model code of conduct after the reports of how poll norms were violated with Prime Minister Modi’s picture on tickets and the slogan of “Main Bhi Chowkidar” on teacups. The issue came to the fore after a passenger on the Kathgodam Shatabdi tweeted a picture of teacups with the slogan, the post went viral. The railways said it had withdrawn the cup and penalised the contractor. In its reply to the EC, Railways had reportedly called it an inadvertent mistake. The poll panel had also pulled up the Civil Aviation ministry over boarding passes carrying the PM’s photo. First, Air India had to withdraw boarding passes bearing PM Modi’s and Gujarat CM Rupani’s pictures after the issue stoked controversy on social media. However, soon GoAir boarding passes were also reported with the PM’s photo on them. “GoAir’s Srinagar Airport team utilized unused stock of Vibrant Gujarat related paper which took place on January 18-20, 2019 for issuing boarding passes at the said airport. It was unintentional…we have instructed our airport teams to stop utilizing this type of paper with immediate effect,” the airline then said in a statement. The MCC came into effect from March 10, the day Lok Sabha election dates were announced. The seven-phase Lok Sabha elections began on April 11. The counting of votes will take place on May 23.